Obvious Deadpool 2 spoilers follow! Ever since the film’s trailers started to surface, fans have been treated to little snippets of the team, X-Force. Which each trailer and still released, more and more was seen of Terry Crew’s Bedlam, Bill Skarsgård’s Zeitgeist, and beloved 90’s X-Force character, Shatterstar. 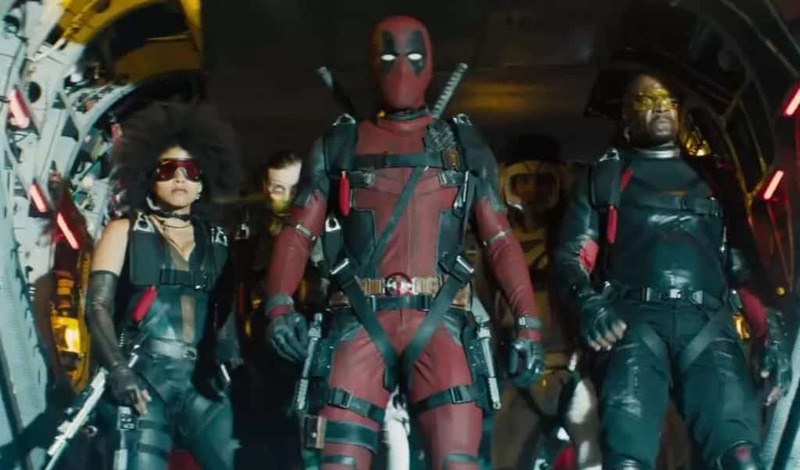 We saw more and more footage, highlighting the major comic book style action that was going to showcase this X-Force squad and help launch a whole new franchise. Or so we thought. In a rather Marvel move, the Deadpool 2trailer was full of, oh, let’s call it, misdirection. And purposely so. Think of it as a stab at the fans by the Merc with a Mouth itself. The newly formed X-Force team is killed off almost instantly, due to some terrible head winds… Bedlam lands right in the path of a city bus, Zeitgeist falls directly into a wood chipper, Shatterstar falls into the rotating blades of a helicopter about to take off, and the Vanisher (mostly invisible but played briefly by none other than Brad Pitt) lines directly on some live power lines. The only survivors are Deadpool and Domino (thanks to her mutant powers of “luck”) and Peter (played by comedian Rob Delaney), the normal, everyday fellow who joined the team. Peter, however, in a heroic act, tries to save Zeitgeist from the wood chipper. This doesn’t end well, though, as Zeitgeist throws up his acid vomit all over Peter during the attempted rescue, subsequently killing the mustachioed would-be hero. This was a move fans just didn’t expect. It is well known that there is an X-Force movie in the works, and fans just assumed that this team would be it. I, for one, was disappointed by not seeing more of Shatterstar. But this was what the team behind the movie were going for, a kind of slap in the face of fans, like only Deadpool can do (and get away with). It was a twist that they kept secret, which is especially difficult in this modern social media heavy day and age. Over at UPROXX, director David Leitch and writers Rhett Reese and Paul Wernick offer some insight on how this bit of trickery was handled. What did you guys think of the big serve for X-Force? Leave your comments below and let us know!